“Don’t buy into the myth that African women are weak. If you sit and engage them and let them be part of the process, we will have sustainable peace,” 2011 Nobel Peace Prize co-laureate, Leymah Gbowee told attendees at the Kofi Annan Eminent Speakers’ Lecture on Tuesday, convened by the African Development Institute in Abidjan. “In Africa there is this myth that women are just doing simple grassroots work. What you fail to realize is that this is powerful work that is keeping the fabric of communities together. “There is no sustainable development in the absence of peace. 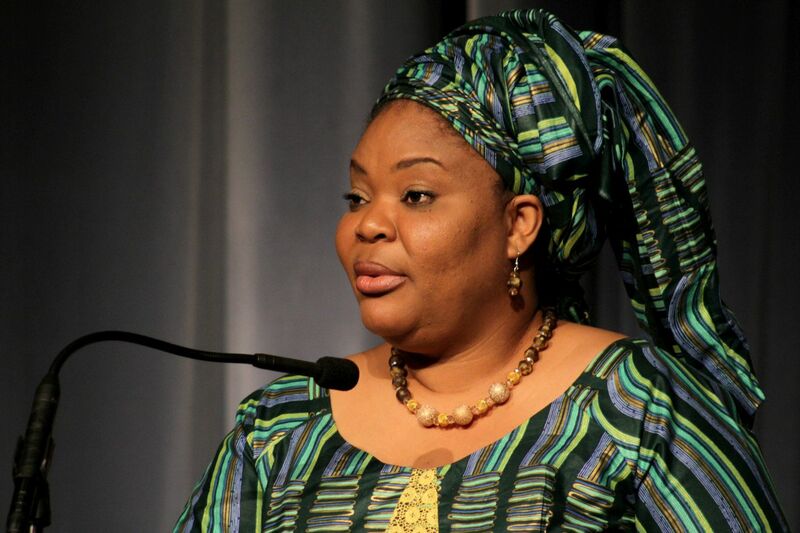 Africa must ensure that conflict and post conflict interventions are part of development,” Gbowee said. The Nobel co-laureate recounted how her journey towards women activism started with a group of likeminded women, US$10 dollars, commitment, and tenacity. Her initiative led to the launch the Women of Liberia Mass Action for Peace. “The impact of conflict on women is the reflection of the interaction during peace time,” Gbowee said, insisting on the need for greater involvement of women in peace building. 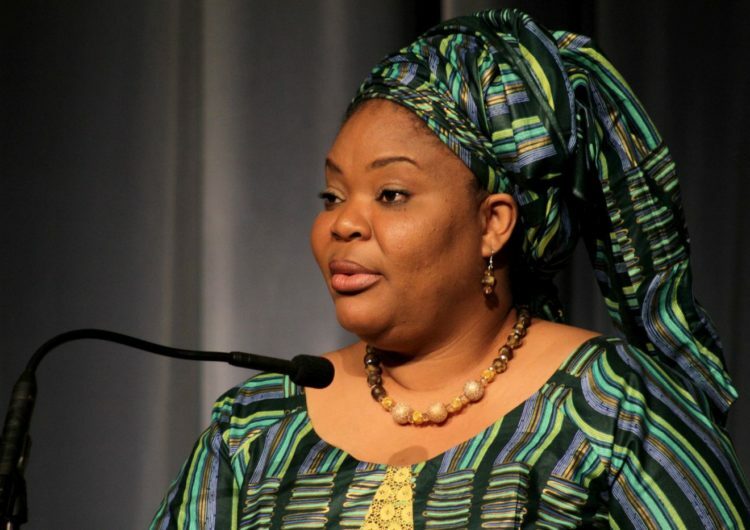 Gbowee told the audience, “it’s high time that Africa stops looking with one eye covered. If each of you cover one eye now. You will never be able to see the full picture. This is how Africa is functioning, we focus on men, we focus on boys, we focus on every other thing but the empowerment of women”. The President of the African Development Bank, Dr. Akinwumi A Adesina, lauded her achievements. 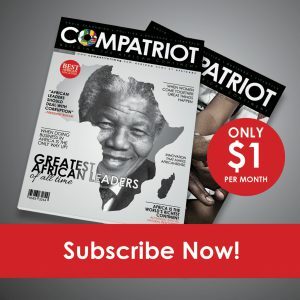 “No one understands grassroots better than Ms. Gbowee, who led the Liberian women’s peace movement and help bring a desired end to the Liberian war. After 14 years of war she helped unite and mobilize thousands of Liberian women”. Adesina highlighted the importance of gender to Africa’s economic progress and the fact that over 56% of the Bank’s projects have a gender bias that includes women and civil society. According to the Bank’s President, “we believe very strongly in the power of women, the power to be creative, the power to support young people and the power to build resilient societies. When Africa gets the issue of women right, Africa will finally get everything right”. The African Development Bank is working with a number of commercial banks in Kenya, Nigeria, Sierra Leone, and the Democratic Republic of Congo to support 200,000 women-owned businesses through financing coaching and mentoring programs. The Bank plans to raise a US$300-million guarantee fund for Affirmative Finance Action for Women in Africa (AFAWA). The initiative is expected to leverage close to US $3 billion over 10 years to empower female entrepreneurs through capacity-building development, access to funding, and policy, legal and regulatory reforms to support enterprises led by women. The Kofi A. Annan Eminent Speakers Lecture series is a forum for policy dialogue to achieve inclusive development in Africa. Its goal is to accelerate the delivery of the Bank’s High 5 strategy and achieve the Sustainable Development Goals and African Union’s Agenda 2063, through dialogues and policy engagement.